Plan your most successful capital campaign yet with our comprehensive toolkit. In order to succeed in capital campaign fundraising, the right foundation must be laid during the goal setting process. As your nonprofit begins to agree upon a financial goal, keep the following steps in mind to ensure that you’ll be equipped to reach it. Plan a Successful Capital Campaign with Averill Fundraising Solutions. 1. Start by assessing your past fundraising success. 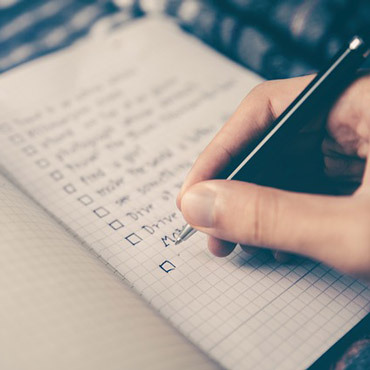 Before you can set a reasonable fundraising goal, your team needs to evaluate whether or not your goals have been attainable in past campaigns. Falling short of your capital campaign goals is not only disappointing, but it can have lasting consequences in terms of how much faith donors have in your nonprofit. What were our original fundraising goals? Were these goals met or exceeded? When did you fall short of your goal, if at all? What would you have done differently to achieve your fundraising goals during each recent campaign? 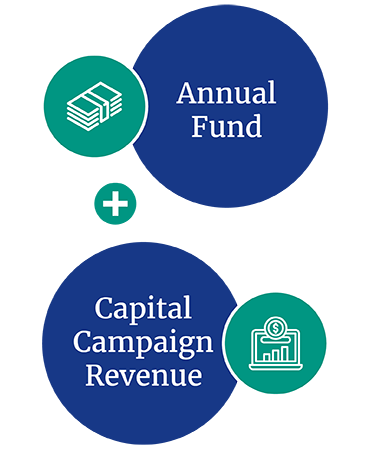 Capital Campaign Best Practice | Choose a fundraising goal that is a multiple of a previous campaign’s fundraising totals or of your annual fund. 2. Develop a preliminary capital campaign gift range chart. After considering your nonprofit’s past successes, you should start drafting a gift range chart with preliminary goal in mind. By filling out this chart, you can make an assessment of the attainability of your initial goal. Breaking your fundraising goal into attainable gift ranges. 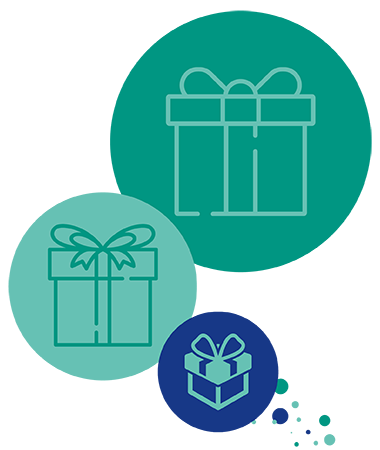 Identifying the number of prospects you’ll need to provide gifts at different levels. Putting names to paper of concrete prospects to provide these gifts. After creating this draft of your gift range chart, take a step back and ask your team: does this preliminary goal seem within reach? Capital Campaign Best Practice | Use and reuse your gift range chart as part of your solicitation collateral to show prospects the potential impact their gifts will have on your fundraising progress. 3. Hire a capital campaign consultant. One of the biggest mistakes a nonprofit can make when conducting a capital campaign? Going it alone. 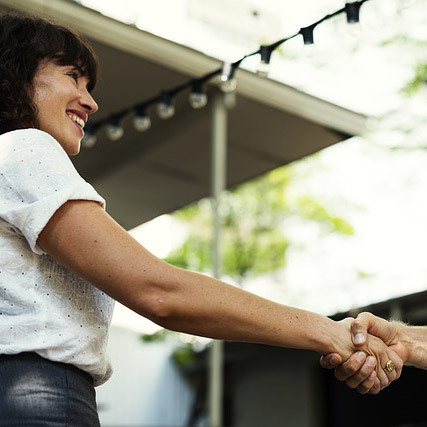 No matter how established your organization is, every nonprofit can benefit from partnering with a nonprofit consultant. As your team starts laying the foundation for your upcoming campaign, a nonprofit consultant can offer important insight in setting your fundraising goal. Because they work with a wider array of clientele, they know what works and what doesn’t for nonprofits of all shapes and sizes. With their third party expertise, they’re sure to help you set a goal that’s both attainable and furthers the progress of your organization. Looking for a capital campaign consultant can be a lot of work, especially if you don’t know where to begin. That’s why we’ve created our guide to hiring a consultant to help you navigate the process with ease. Bonus! A consultant can be crucial towards helping your nonprofit develop a supportable case for support. Learn more about writing a case for support by reviewing our article with examples. Capital Campaign Best Practice | Your nonprofit’s consultant can also help plan the capital campaign and ensure that the it fits in with your overall fundraising strategy. 4. Undergo a capital campaign feasibility study. Every campaign should undergo a feasibility study (or “internal readiness assessment”) during the planning phase that is lead by a nonprofit consultant. During the assessment, your consultant will help evaluate your fundraising goal and help your nonprofit develop a concrete capital campaign plan. Where is your nonprofit when it comes to data integrity? What kind of groundwork have you already laid in terms of relationships with prospects? When it comes to staffing, do you have people in the right internal roles? Is there enough funding available to see this campaign through? Bonus! Looking to get even more out of the planning phase? Check out our article on creating a capital campaign plan for some ideas of how to make the most of this process with the help of your consultant. Capital Campaign Best Practice | Never “bootstrap” your capital campaign! If your nonprofit can’t afford the campaign, take a step back and reevaluate your readiness to take on the project. 5. Finalize your capital campaign goal and gift range chart. 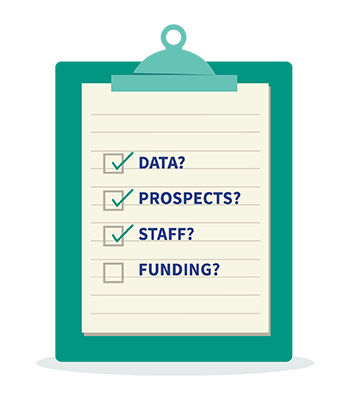 Based on the results of your feasibility study, your nonprofit’s consultant will be able to recommend whether to proceed with the campaign, restructure your fundraising goal, or head back to square one to regroup. If they recommend moving forward, now is the time to finalize your fundraising goal and gift range chart. Remember: the goal only matters when you don’t reach it. Now is your team’s last chance to make changes before heading into your campaign’s public phase. Is your nonprofit ready to take on this fundraising challenge? Now that your nonprofit has set your capital campaign’s fundraising goal, it’s time to get your nose to the grindstone and work hard to achieve it. However, simply reaching your goal isn’t enough! Pay attention to these strategies your nonprofit can implement to maximize your fundraising potential. 6. Embrace a comprehensive capital campaign goal. A quirk of nonprofit fundraising that you probably already know is the fact that donors are more likely to give to campaigns that are already well on their way to fundraising success. This proves especially true for capital campaigns, where the median dollar amount for gifts tends to be much higher than for your other campaigns. One way to convince donors your nonprofit is worth their financial commitment? Include the totals of your annual fund and other big fundraising projects as part of your campaign strategy. While your campaign is ongoing, this is a powerful way to show individuals that other donors believe in your cause. Over time, this will also help grow your baseline fundraising goals for capital campaigns as it will help build a pattern of success for your nonprofit. Bonus! Your annual fund campaign is one of the biggest fundraising undertakings of your nonprofit’s year. Make sure you’re ready for it by checking out our guide to building a successful annual campaign. Capital Campaign Best Practice | Don’t hold a quiet phase or a kickoff event. When you’re ready to accept gifts, start doing so! You want to get out the good news that you’re receiving gifts as soon as possible. 7. Build strategic relationships with capital campaign givers. If you want your capital campaign to be a huge success, your team will need to take a look at your solicitation and cultivation strategy. After all, your supporters want to feel that your nonprofit truly appreciates and needs their support. Don’t leave these relationships as an afterthought! Follow up with past supporters who have given to previous campaigns (you already know they believe in your organization). Network with givers so that they can connect you with other individuals who may give to your campaign. If a prospect turns down your ask, try to clarify their hesitation. They may not have the giving capacity or enthusiasm you had expected, and learning what’s in the way of their contribution can improve how you approach them for future gifts. When supporters feel like they’re key partners in your organization, they’ll be more likely to give and more inclined to promote your campaign to their personal networks. This means the more personalized your cultivation efforts and solicitations are, the better! One way to ensure that your interactions with supporters are tailored to each individual is by using the data stored in your nonprofit CRM or constituent management software to create strategic solicitation plans that match up with your supporters. Don’t forget to store any new information you collect during this time within your constituent database, too. That way, all of your future fundraising and stewardship efforts can build on what you’re learning now. Capital Campaign Best Practice | When reaching out to secure a capital campaign gift, a personalized fundraising letter can go a long way. Check out Qgiv’s fundraising letter templates for inspiration! 8. Maintain a reasonable capital campaign timeline. There’s nothing worse than a capital campaign that meanders on and on. 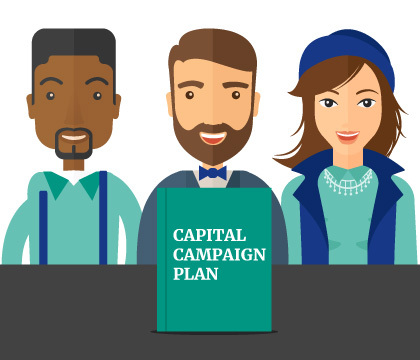 A typical capital campaign lasts between three and five years. However, depending on when you reach your goal, this timeline can be shortened or expanded. The only question you should ask yourself is this: how much money do you want to leave on the table? If your nonprofit decides to call it quits early, you run the risk of missing out on future contributions from prospects who aren’t yet ready to give. However, if you find your campaign is petering out, ending it early can benefit your nonprofit by giving your team a chance to start preparing for your next campaign, this time equipped with knowledge gained during your most recent one. Similarly, if you extend your fundraising deadline, you may lose valuable time you could be spending preparing for your next major fundraising campaign. On the other hand, if your campaign is in full swing when the deadline rolls by, why end it arbitrarily? As long as you have fundraising momentum, your nonprofit may as well keep it going. Bonus! Visit DonorSearch for their in-depth guide to executing an efficient capital campaign timeline. Capital Campaign Best Practice | However long your campaign shapes out to be, always budget a few years in between capital campaigns. This way, you can spend the time needed to steward prospects for future campaigns. 9. Appoint a dedicated capital campaign director to lead the campaign. The truth is that a capital campaign requires a dedicated leader to oversee the project from the top down. 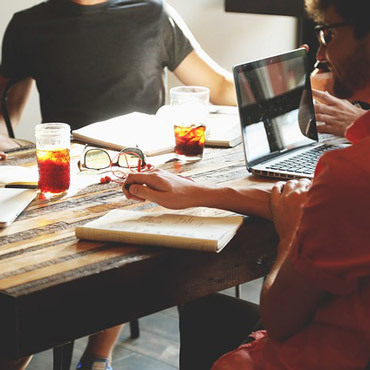 While the different departments of your nonprofit should all be involved in the campaign process, one individual should take the project on as their sole focus. 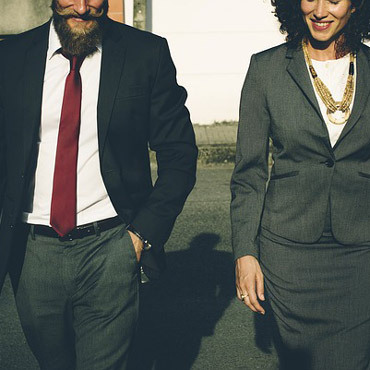 If your organization doesn’t have a staff member already in place to serve in this capacity, your consultant can serve as an embedded capital campaign director for your nonprofit. Don’t feel the need to rely solely on individual gifts. Expand your nonprofit’s fundraising horizons by considering some unconventional strategies for capital campaign success. Make the most of your capital campaign with Averill Fundraising Solutions. 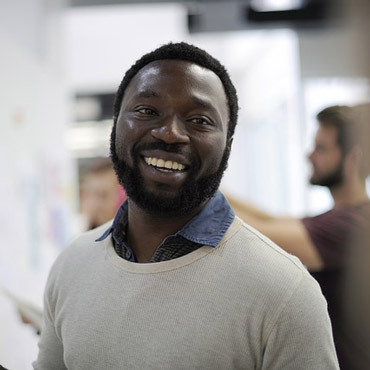 Individual supporters with a personal connection to your organization are the most obvious choice for prospects for your capital campaign. But with a little help from you, your supporters can double or even triple the impact that their gift has for your nonprofit! We’re talking about matching gifts programs or other forms of corporate philanthropy. With a matching gifts program, an employer will give to an organization that their employee has also given to, up to a certain dollar amount. Many, many companies have matching gifts programs, and the majority of the money put aside for that purpose goes unclaimed simply because people don’t know about the programs. 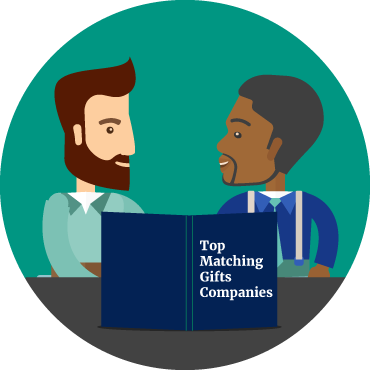 Did you know that the following companies all have exceptional matching gifts programs? If you’re ready to double the impact that many of your supporters can have on the success of your capital campaign consider investing in a matching gifts database like Double the Donation. Tools like these can simplify the process of claiming your matching gifts, which is better for both you and your contributors. Capital Campaign Best Practice | Include matching gifts tools on your website and donation form, to make it easier for supporters to find their company’s policies when it’s relevant. Matching gifts programs aren’t the only way to increase your chances of meeting your goal without making your contributors dig deeper. By seeking out grants, your organization can access funding set aside for nonprofit organizations just like yours. Why shouldn’t you make the most of it? Research some organizations that award grants, like foundations, trusts, corporations, or government agencies that are aligned with your mission in some way. Then decide which grants to apply for. A specific kind of grant that can mobilize your supporters and significantly contribute to your capital campaign is the challenge grant. A challenge grant is one that is awarded to a nonprofit after the organization achieves some kind of goal, like a fundraising goal agreed upon earlier by both the nonprofit and the awarding institution. Once your nonprofit achieves the goal, the institution will give you the grant. Sounds awesome, right? Grants of all kinds are a mutually beneficial way for institutions and agencies to improve their public appearance through philanthropy and for nonprofits to achieve their goals. Capital Campaign Best Practice | Research grants that are region- or cause-specific, to increase your nonprofit’s chance of receiving one. The success of your organization’s capital campaign depends on the strength of your fundraising plan. Check out our article on creating a robust capital campaign plan before you begin! 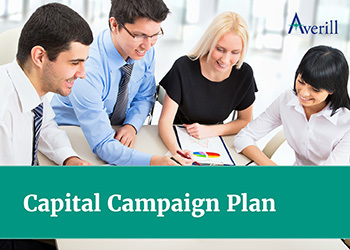 Learn more about the capital campaign planning process. Without a strong case statement in place, supporters may find it difficult to justify donating to your capital campaign. Learn more about writing a compelling case statement by reviewing our article! 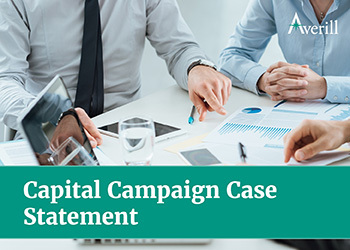 Discover more about capital campaign case statements. Unsure of where to turn when choosing a consultant to guide you through your capital campaign? Visit Double the Donation for a list of the top nonprofit consultants for your organization! 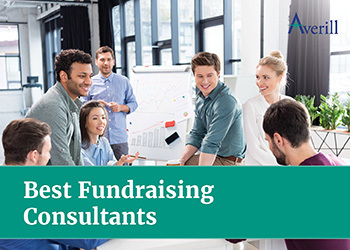 Consider these top fundraising consultants for your campaign.